Note: the management positions listed below are only for EB5 Coast To Coast LLC and do not reflect the management positions of each individual Regional Center. Steve Smith is the owner of Steve Smith Development LLC with a 30+ year track record of mixed-use and multifamily projects spread throughout the Seattle and Puget Sound region. Mr. Smith’s success is due to his careful analysis of each step in the development process—from market research and site selection to design, construction, marketing and customer service. Through the years, he has delivered high-quality apartment, condominium and mixed-use projects that have commanded premium pricing. In 2005 he entered the senior apartments market by teaming up with SHAG (the Senior Housing Assistance Group) to build the 206-unit Cedar Park apartments in Seattle’s Lake City neighborhood, and continues to build other senior apartment projects with SHAG. In the aggregate, his portfolio includes the development and/or construction of nearly 4,000 units in 40 different projects valued in excess of $900 million. Mr. Smith earned a Bachelor of Art’s Degree from the Henry M. Jackson School of International Studies at the University of Washington. Mr. Chary is founder and Chief Executive Officer of US Physician Resources International, and CEO of IVY CEO-Consulting Company of IVY League CEO’s. Being a unique immigrant growing as a kid in Chennai, India he dreamed of going to the USA and meeting a U.S. President at the White House. His perseverance and passion got him to meet SEVEN U.S. Presidents: Carter, Ford, Reagan, Bush (41), Clinton, Bush (43), and Obama. For more than a decade, he has focused and gained expertise in promoting U.S.-India partnership programs and is presently involved in a campaign to commemorate “US-India Partnership Day,” as a mark of celebration of the two largest democracies in the world in the U.S. Congress. As a proud Indian-American, Mr. Chary has devoted his non-professional efforts to forging ties between the U.S. and India. He is a recipient of the “One Person Makes a Difference Award” from the 100,000-member AOTA in Washington DC. He is also a registered Lobbyist, and a Charter Member of GDIACC/USICOC in Dallas. Currently, he serves as an Advisor to the American Association of Physicians of Indian Origin (AAPI) with 65,000 Indian physicians in the USA. He represented Plano as an Ambassador of the American Cancer Society, is an Officer of the Harvard Business School Alum Association and is involved in various local community activities. His goal is to give back as much as he can to the community. 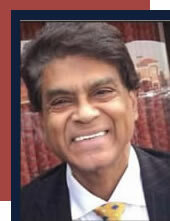 Mr. Chary is a graduate of Thomas Jefferson School of Law and The Harvard Business School. To reach Mr. Chary please call him at 214-597-1571. Disclaimer: Mr. Chary is a Partner of EB5 Coast To Coast only; he does not serve in a managing position of any of EB-5 Coast To Coast's regional centers. Mark Raabe has been directly involved with the development of over 5,000 multi-family units in the Puget Sound area since 1989. Beginning in 1989, he was the CFO of Polygon Northwest Company, a single-family and multi-family developer. Polygon Northwest was subsequently sold to William Lyon Companies for $500M. From 1991-2003, he was President of The Fortune Group, where he worked with Steve Smith, which was the most prolific developer of multi-family housing in Seattle at the time. Since 2003, he has been a consultant and investor in numerous multi-family developments in the greater Seattle area. He has been a Certified Public Accountant since 1980. Mr. Wu has been involved in Seattle real estate for 12 years, having obtained his real estate license when he was only 19 years old. Since real estate is his passion in life, he quickly achieved remarkable success early in his career due to unrelenting dedication to his clients, who continue to keep his pipeline full with a constant stream of business referrals. Currently he serves as Chief Operating Officer for www.WPIRealEstate.com. WPI Real Estate Services, a full-service real estate company established in 1972. WPI offers professional brokerage and management services for real estate investors in the Seattle area. Mr. Wu's position at WPI, combined with the diverse talents of his team, enables him to serve all the real estate needs of EB-5 Coast to Coast LLC's EB-5 investors, if they wish to purchase a home or investment. Diana joined the company in 2012. 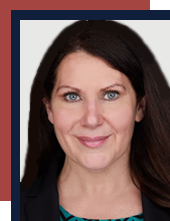 She is responsible for the marketing, communication and business development efforts relating to media relations, website development, and advertising, including magazine ads featured in EB-5 Magazine and IIUSA Business Journal. She acts as liaison between the marketing teams, interior designers, construction managers, and vendors, and attends key EB-5 conferences nationally and internationally to raise investor awareness and interest in the company’s active commercial real estate development projects. 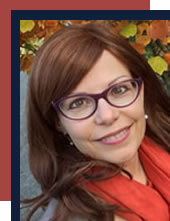 Diana attended Seattle Pacific University, City University and Cascadia Community College where she studied computer programming, project management and web development. She’s a Phi Theta Kappa International Honor Society member, and is esteemed with both a President’s Honor Scholastic Achievement Award, and Faculty Honor’s Award. Nancy joined the company in 2018. She is a communications strategist with a passion for shaping narratives through community relations, integrated marketing, public relations and social media to create storytelling opportunities leading to news coverage that supports operational and business goals. Treder earned a BA in Communications at the University of La Verne with additional studies at Georgetown University, and the University of Washington. Treder is a 12-year US Army veteran where she served as a photojournalist, military police officer and press secretary. 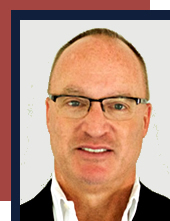 Mr. Dreyer has 29 years of experience in U.S. commercial real estate finance and currently serves as manager of CN Capital, LLC, and is a Principal of EB-5 Coast to Coast. CN Capital, LLC is a U.S.-based real estate advisory firm that works with real estate developers seeking capital for large scale commercial developments across the U.S. Previously, Mr. Dreyer served as Managing Director with FBR Capital Markets (“FBR”), an institutional research, brokerage and investment-banking firm. Mr. Dreyer was a co-founder of FBR’s real estate investment-banking group in 1994 and was involved in over $2 billion in real estate transactions before his departure in 1999. Mr. Dreyer returned to FBR in late 2006, again as a Managing Director. From 1999 through 2006, Mr. Dreyer founded and managed Trilogy Capital, a $100 million U.S.-based hedge fund with a focus on real estate related securities. 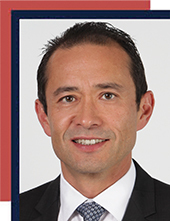 Mr. Dreyer began his career as a financial analyst with LaSalle Partners, now Jones Lang LaSalle in 1988. 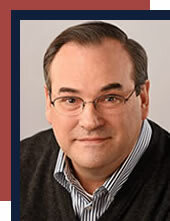 Mr. Dreyer Graduated from the Edwin L. Cox School of Business at Southern Methodist University in 1988. 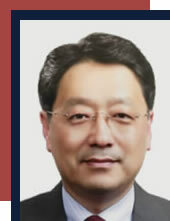 Mr. Ghim has 37 years of banking, business consulting and entrepreneurship; VP of First Interstate Bank Seoul Branch; Manager of North Asia region for National Commercial Bank of Saudi Arabia; Manager of Asia Pacific and Australasia regions for Riyad Bank in Singapore, and CEO and board member for a Seattle-based Asian American Community bank. 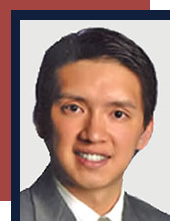 His personal experience of immigrating from Korea to Brazil, Singapore, USA and in-depth understanding of the social fabrics of overseas Korean communities make him uniquely qualified to serve as a consult with EB-5 applicants seeking advice in settling into their newly adopted homes in foreign lands. BA in economics from University of California, Santa Barbara, CA, MBA in international finance from University of California, Irvine, CA. Languages: Portuguese, Spanish, Mandarin Chinese, Korean, English and a little bit Arabic and German.